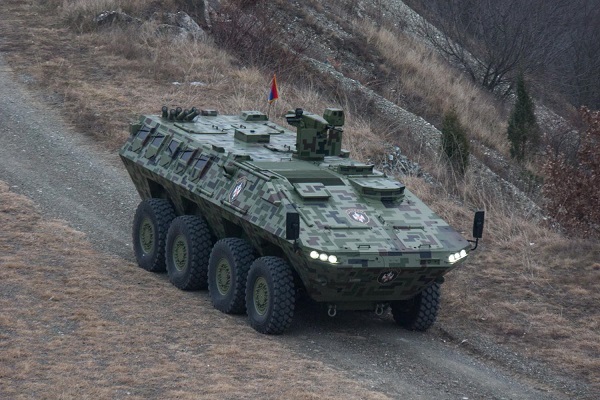 Lazar 3 is an armored 8x8 wheeled vehicle designed for various applications and missions. The power train is accommodated in the front right-side of the vehicle in a protected space completely separated from the crew. The central transfer case transmits the torque to all wheels that have independent suspension and provide for the vehicle's high mobility. All the shafts provide power, while the first two steer the wheels. 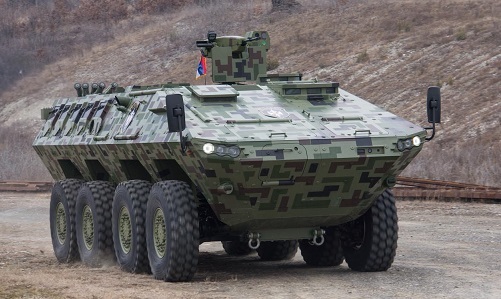 Lazar 3 has a highly sophisticated, modular ballistic protection. The hull is made of armored steel and can be fitted with a spall liner. The applied ballistic protection can be tailored to the specific needs of the user and allows for application of additional state-of-the-art ballistic protection technologies throughout the vehicle service life. The vehicle floor has two levels of anti-mine protection. The driver's and commander's space is located in the front of the vehicle. The vehicle has two side doors for the entrance/exit of the driver and the commander. Both the driver and the commander have hatches above their seats. The driver's hatch has a three-position lock, one position being designed for locking the cover while driving with the open hatch. The driver and the commander have each three periscopes available for their use in the vehicle. The driver's seat is ergonomic and adjustable in vertical and horizontal planes. The steering column is also adjustable in height and steering angle. The crew compartment is located in the rear of the vehicle and provides enough space for various missions. This part of the vehicle can be accessed through the rear ramp, through the two doors embedded in this ramp or through the big hatches on the vehicle roof. The ramp is hydraulic-operated by way of the power train. It can be activated both from the driver's compartment and the crew compartment. 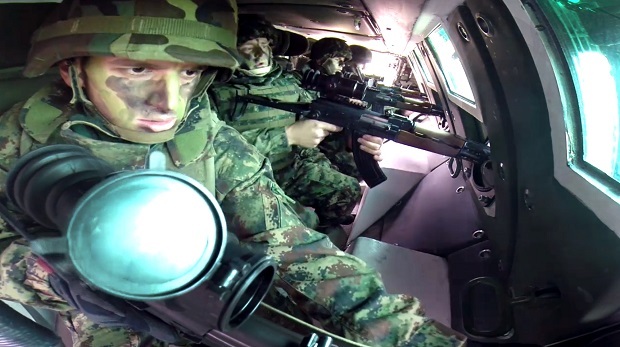 The number of the crew depends on the type of a mission and the weapons used in the vehicle. 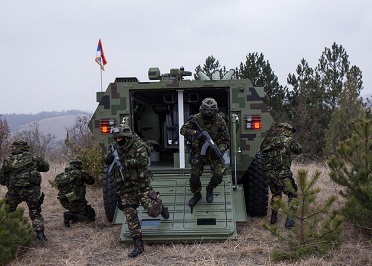 When the vehicle is equipped with the remote control weapon station (RCWS), the vehicle should be manned with 12 troops (commander, driver, gunner + 9 soldiers), while the version with a turret would be manned with one soldier less. Engine - Manufacture and model: Cummins ISM500. - Volume: 11 l.
- Maximum power: 373 kW (500HP). 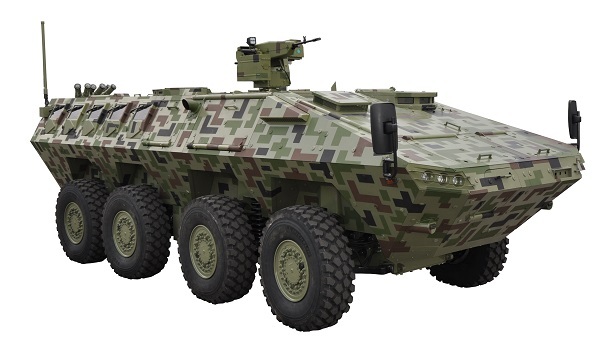 The vehicle may be equipped with various weapons, ranging from a 12.7 mm RCWS to a 30 mm cannon turret. 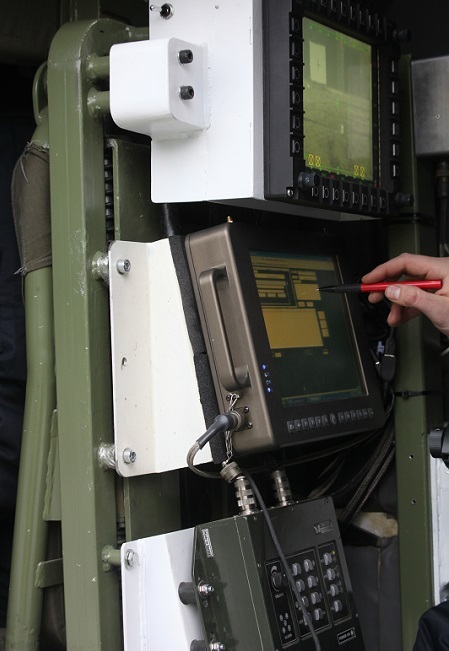 Remotely Controlled Weapon Station with 12.7 mm machine gun is intended for neutralizing ground targets (command posts, light armored vehicles, utility trucks and enemy troops), as well as for fighting against specific air targets (helicopters, light airplanes, RPV-s, UAV-s and parachutists). 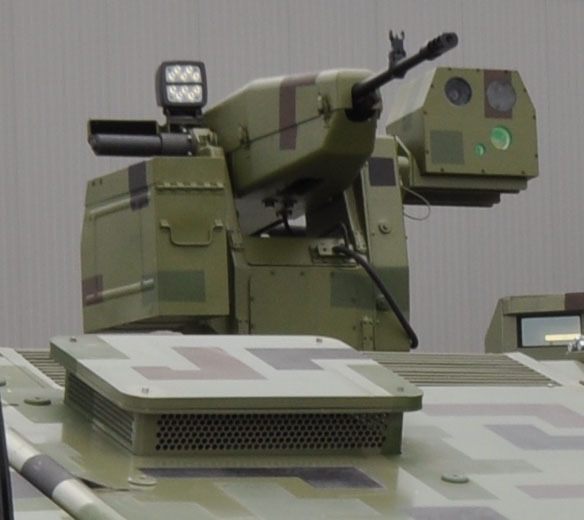 The Lazar III gunner operates 12.7 mm RCWS. Time to fire: ~ 60 sec. All technical descriptions are intended to present the design solution, basic features, capabilities and performances of the equipment, including the variants of the main and optional equipment/sub-systems. The specific and more accurate description of the required equipment is provided in the offer or during contract negotiations.